Overview: Our trip to Belize was to research an assessment of the country from several perspectives. Its general public description is a Caribbean vacation/retirement third world country primarily rich with agricultural farmland and recreational fishing, coral reefs, etc. Our interests included the local probabilities in the growth of the medical field, training, etc., the printing graphics and entertainment fields. Additional to this are my educational activities with the US Nuclear Energy Foundation and our Pure Energy Affiliates LLC. “Aggregating Solutions for the Energy Industry” What, if any, a small country may have any need and interests in “micro” nuclear technology, water purification, etc. Brazil, as a major South American country currently has its single Angra Nuclear Power Plant, considering additional nuclear power even with nearly 50% of their energy coming from hydro power. Water purification is a growing worldwide task which remains an energy intense process. Belize, as with a number of other tropical climate countries are developing facilities and marketing the prospect of medical tourism to U.S., Canadian, and European markets while providing a stimulating show and tell of the Belize retirement climate and facilities. We will also research to some degree the private real estate market, what it has to offer both old school and potential new developments. And finally what the country may be considering for technology economic diversification and growth. We initiated our trip research before our journey began web searching and downloading documents and data concerning the basics much of which will be addressed in this reconnaissance report. With our “micro technology” energy interests we parsed a 37 page document produced by Belize’s new, “Ministry of Energy, Science & Technology and Public Utilities” Strategic Plan 2012-2017. We then developed a series of questions which are relevant to our specific interests along with some general government operational policies, practices and regulations. This REPORT is a 23 page PDF document containing our assessment, government, business real estate data and some "comments" and photos of the places we visited and resorts we stayed at with our personal impressions. The report is our 2013 trip. It has been updated with a Cover Letter detailing our SEP-2015 trip plans. Boris-Mannsfield & Associates specializing in Placencia, Belize real estate. Posted with permission. You are welcome to read, download and print. Belize is culturally unique among Central American nations. It is the only nation in Central America with a British colonial heritage. The country is a sovereign, democratic state, and Her Majesty Queen Elizabeth II is the constitutional Head of State. 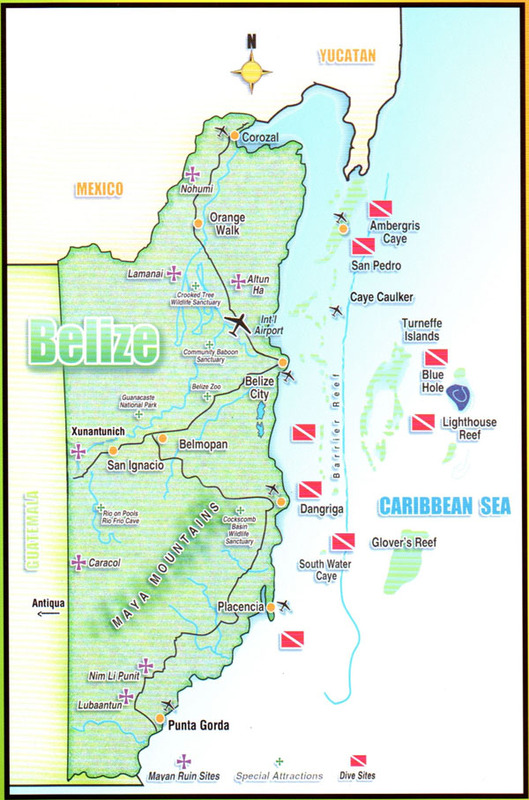 In Belize over half of the tiny country is covered by tropical rainforest whilst offshore the second largest barrier reef in the world can be found as well as over 200 cayes (islands). The official language of this multi ethnic, multi lingual country is English although the Creole dialect and Spanish are widely spoken. Belize has a population of just 330,000 with nearly 50% of this population under 18 years of age.